Narrator put me to sleep... while I was driving! 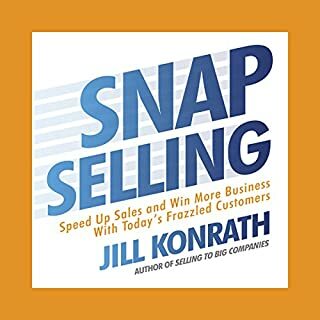 Draft a compelling, customer-focused "sales story"
Packed with examples and anecdotes, New Sales. Simplified. balances a blunt (and often funny) look at what most salespeople and executives do wrong with an easy-to-follow plan for ramping up new business starting today. 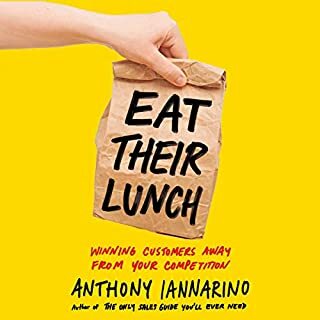 Must have book for every Sales person. Great book, highly recommended reading for those in this great profession. The book is easy to read, to the point, has moments of humour. More importantly it gave me alot of insight on how I can become better in sales. 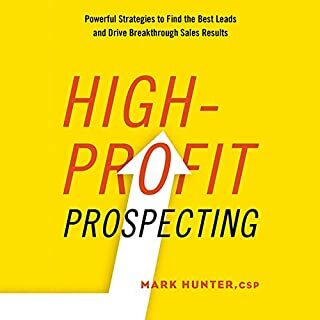 The book is has many nuggets of information you can use immediately to improve your sales skills and increase your earnings. Nothing new or insightful. Waste of money. The author talks too much about his point of view and direct experience without any sort of research methodology or a convincing breadth of experience. There are many repetitive broad generalisations: ‘most sales people’ blah blah blah, without explaining where such sweeping generalisations come from. I was disappointed. honestly it was rather boring and the reading style was not very engaging. if it wasn't part of my goals to get through another audio book this month I think I would have left it to the dust. some of the content was useful, no doubt, but I could take about 10.minutes away and be happy. rather disappointed. The game will never be the same again. Mike has clearly shown us how to be better and do more in this epic piece of writing. It has changed by approach to new sales and business development. After listening to this book, I felt compelled to go out and buy the hard copy so I could most effectively utilise all of the intricate detail and follow the roadmap to success. I promise, I'll never do another &quot;presentation&quot; in my life! Thank you Mike for such a insight and providing such guidance. What did you love best about New Sales. Simplified.? 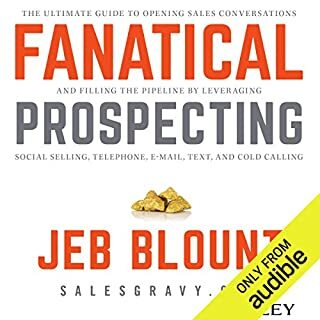 Tremendous book on prospecting/new business development. What other book might you compare New Sales. Simplified. to and why? What about Mike Weinberg’s performance did you like? He really comes across as knowing his stuff! As a owner of the hard copy, kindle version, and first edition audible version, I just wished the updated version narrated by the author would have been offered at discount, but it didn't stop me from purchasing it (again)! Loved the book and listening to Mike Wineberg was thoroughly enjoyable. I will definitely be following the strategy and advice given here. Love Mike Weinberg. So much brain, brawn, and heart. Great for brand new, seasoned, or vet sales people. I picked up many things here. 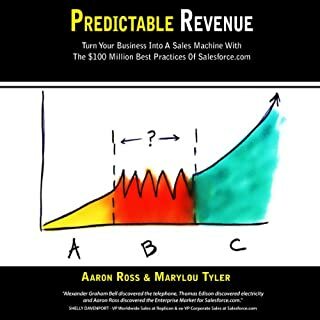 What's interesting about sales is you may have an idea about a way to do things, but you aren't sure if it's the right thing-not to mention uncertainty in it's definition or efficacy. This guy labels defines, and lays out everything to help you realize someone else is out there paving the way! best plan to target and capture new accounts! great sequence of planning and execution strategy for getting new accounts and customers. Common sense advice. for someone like me who knew nothing about new business development. this book took me from 0 to a good grasp very quickly. very enjoyable and informative. I loved this because Mike keeps it 100% real. 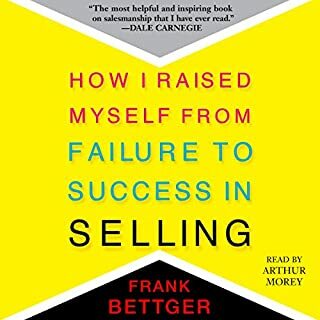 As he says, the only two reasons this book wouldn't resonate for you are (a) you don't want to be successful in Sales or (b) you're on the wrong job. With every Sales book, it's not a solution rather than a tool. I have some great ideas and quick fixes to implement from this book. 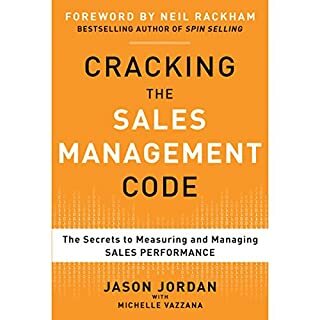 Must read if your in sales. 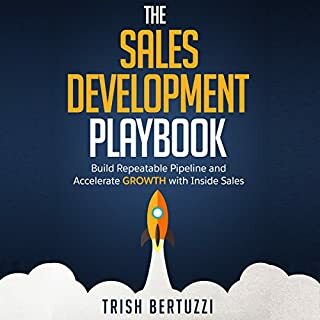 This book is easy to digest and I can easily adapt it to my sales process. It emphasizes selling by focusing on the customers pain points and how you can solve them. It covers fundamentals, but would be as appropriate for a seasoned pro as a newbie. 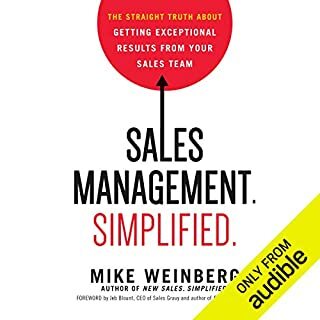 A lot of sales books try to prescribe overly complex systems and super specific scripts that don’t apply in a lot of situations, this book is different. 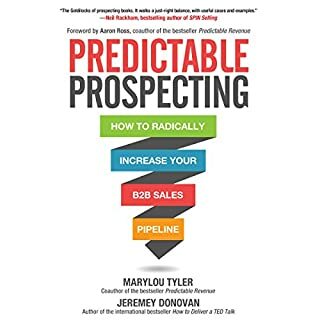 It offers a loose structure that I can apply to improve my current sales process that is based on fundamentals, it doesn’t push a single exact recipe. I can apply certain pieces now and continue to apply others over time. 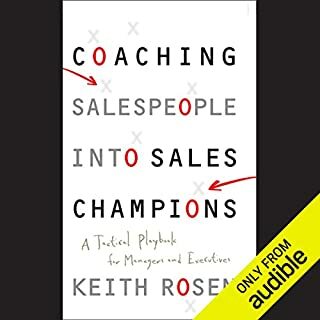 In short, this is a great sales book and I just finished and will reread again because I enjoyed it so much. Great information! Would definitely recommend it. Great information. I'll definitely be listening to this once a year and I'm really looking forward to implementing this new knowledge. 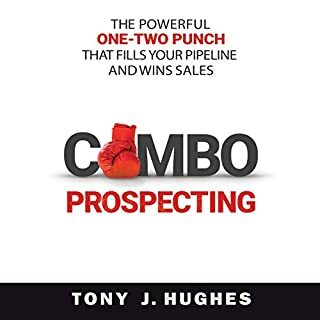 I have really enjoyed how this simple and easy to follow book is describing highly effective methods of increasing the sales and methods of approaching sales. 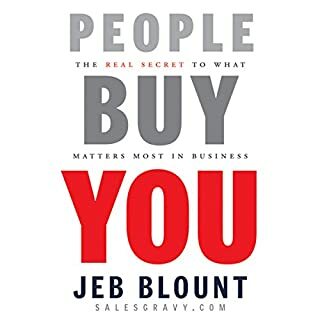 Everyone sales, and business should get this book! Well put together and thought out. The structure is good and Mike is very good and getting the importance across. Just hours of metaphoric drivel about how good his strategy is... without ever explaining what it is!!! Infuriating!!! 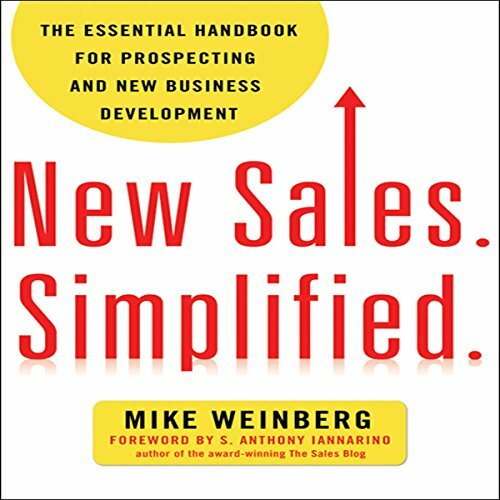 This book is full of of old ideas that will help if your new to sales. But if you have been in sales more than 3 months or if you have ever read any other sales book then this is a waste of time. Save your money. Not forgetting the paid for advert chapter on South West Airlines that will make you think why did I pay for this when it is just an advert. 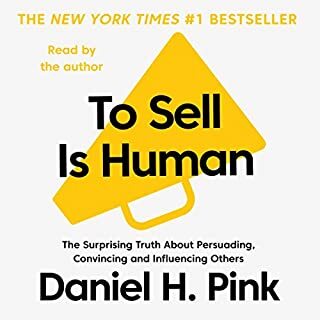 What a brilliant book on sales. I've been in sales (admittedly as a key account manager) for a long time. 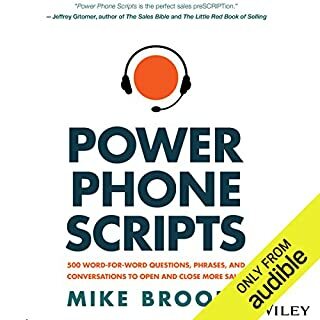 I'm a recent convert to the theory that you shouldn't puke on your customers (resist the temptation to deliver a boring PowerPoint) but there is a whole lot more practical advice that Mike gives, with great examples. 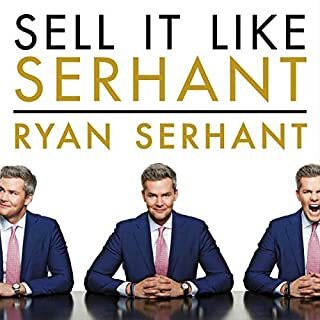 Thoroughly recommended for anyone who has to sell for a living. I will be buying copies for my team. honest, straight talking advice that resonates! Great book! gets straight to business offering sound advice that once put in to action will improve both the input and output of my sales team. I managed to make substantial notes and listen to this book in two days. Both enjoyable and informative, this book comes very highly recommended from a self confessed business book junkie! 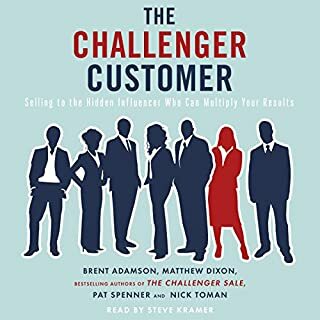 This book wonderfully narrated by Mike goes into such clear analysis of the sales process chapter by chapter with personal stories that support his thought process. 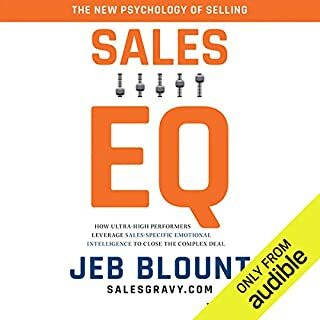 This is a must listen for any sales person no matter where they are on their journey. Listen and then listen again.